Another award for Clifden!! 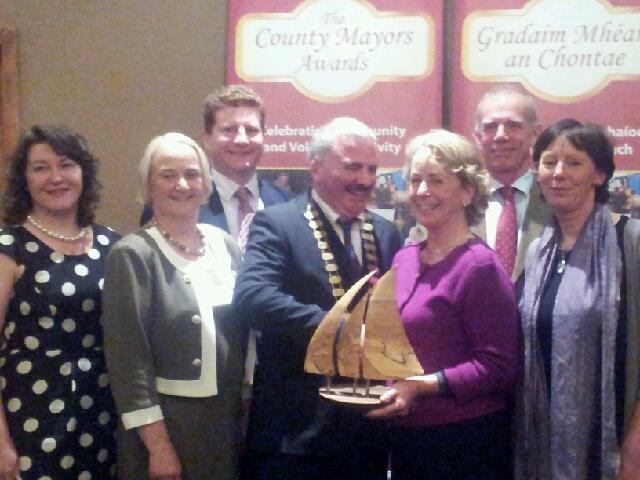 Clifden 2012 won the Best Contribution to Heritage Award at the County Mayors awards ceremony in Loughrea this evening (8th November 2012). Well done Clifden 2012! Photographed L-R: Councillor Eileen Mannion, Martina Moloney-Galway County Manager, Declan Mannion – Clifden 2012, Tom Welby- Galway County Mayor, Kathleen Villiers Tuthill-Clifden 2012, Charlie Bourke-Clifden 2012, Sheila Griffin-Clifden 2012.